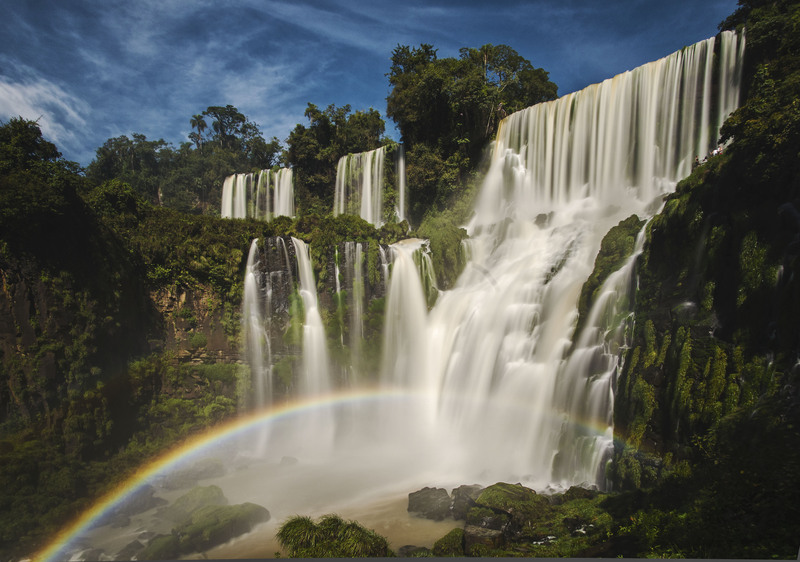 On the border of Argentina and Brasil sitting across the Rio Iguazu, lies perhaps the most impressive set of waterfalls in the world, Iguazu Falls. 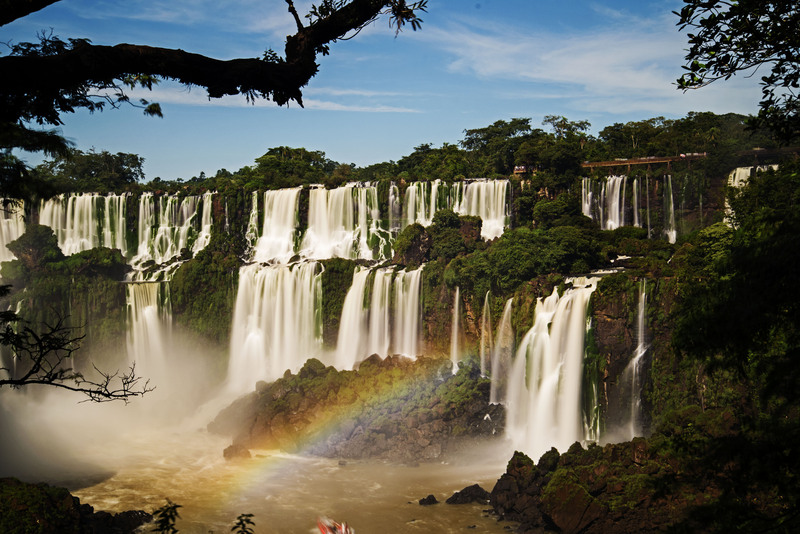 The falls can be viewed from both the Argentinian side and the Brazilian side, each with a different perspective but equally as stunning. 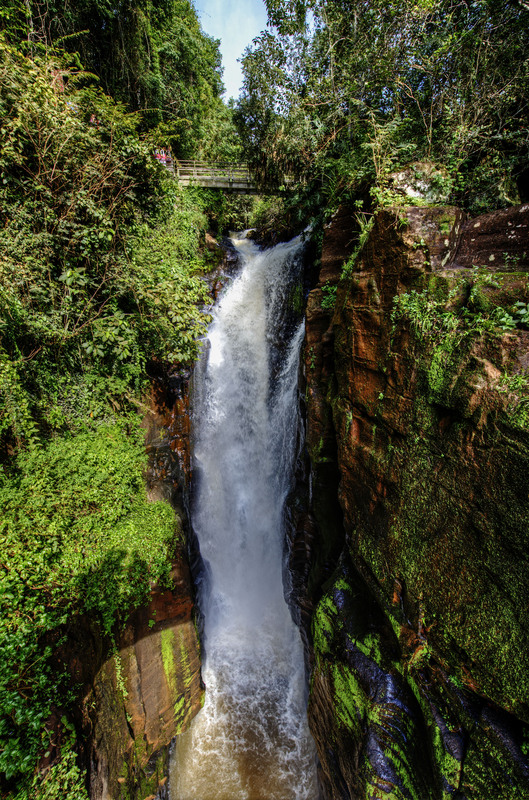 The falls are surrounded by a large expanse of protected rainforest which is thick with wildlife. 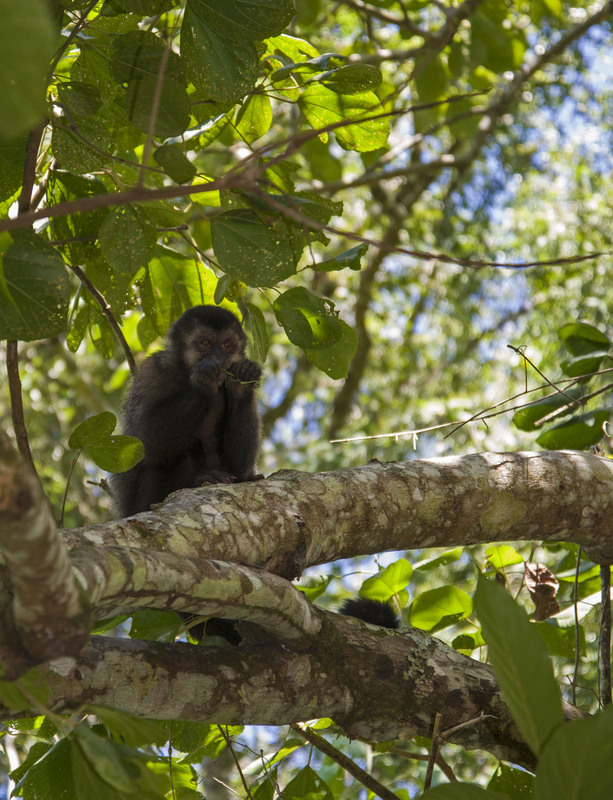 On arriving at the Argentinian side of Iguaza we had some difficulty finding somewhere to stay. After visiting a couple of places we followed up a lead from the local tourist information office and went to the ex- municipal campsite. The site is now owned by the local basketball club but they were happy for us to camp there for the night. They seemed a little concerned about our security and at first suggested we park inside the building where the court was, later directing us to park under a light. It was a last resort and too late to look for anything else but the night passed very peacefully. In the morning we set off early for the falls to get there as they were opening (the entrance to the falls is roughly 20km from the town of Puerto Iguazu). The Argentinians have certainly seen having a world class attraction as an excuse to bump up the entrance fee. 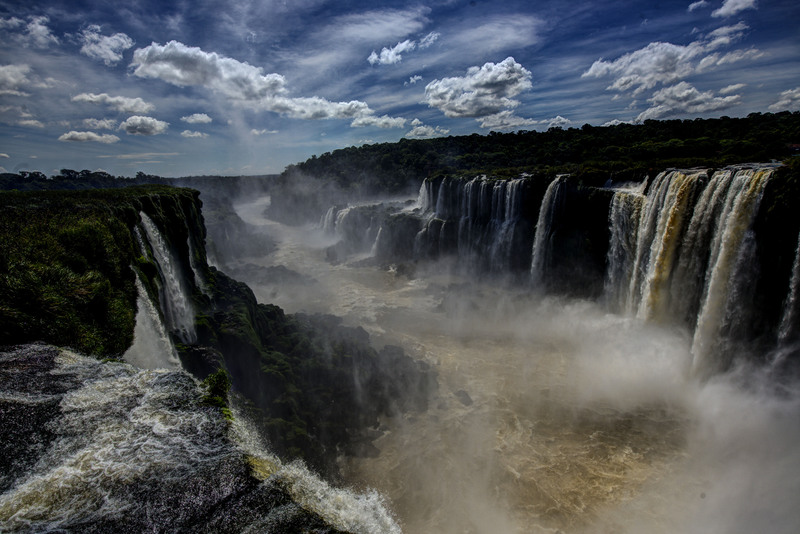 The fee for foreigners is 3 times that for Argentinians at US$40 per person. Once inside the park there are three trails to walk. We started with Upper trail (Paseo Superior) which takes in the top of the falls first. Then we walked around the longer lower trail (Paseo Inferior) which has better views of the lower waterfalls. 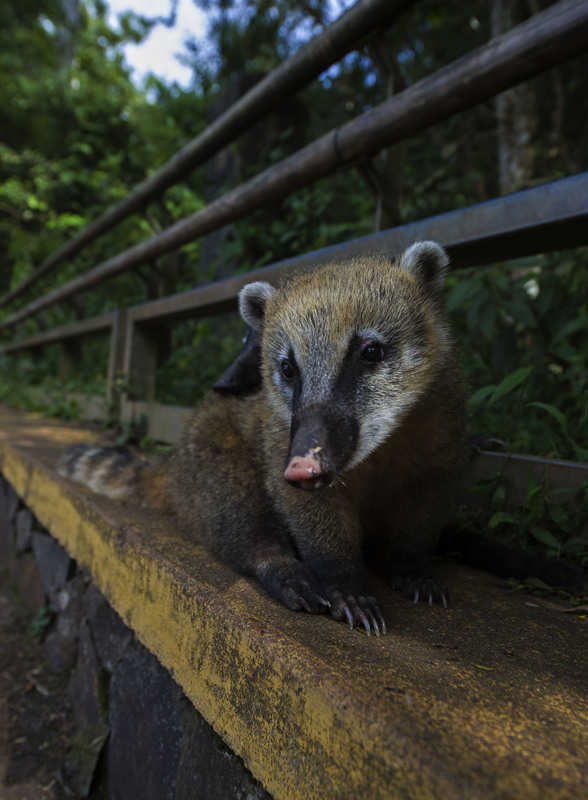 On this trail we came across lots of coati who are clearly well used to people. Unfortunately river levels while we were there meant that the crossing to Isla San Martin – which gives a great front on view of the waterfalls, was not an option. 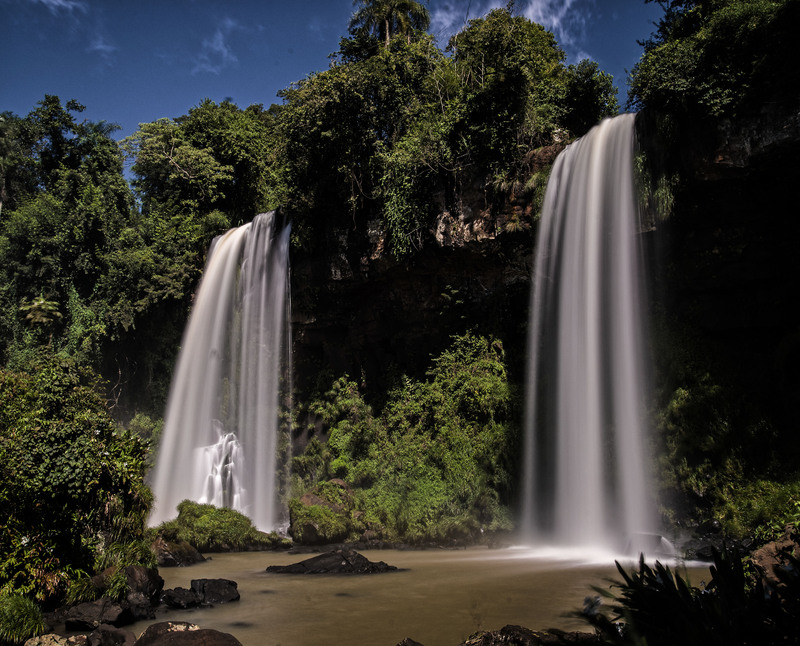 As well as the big sets of falls which Iguazu is famous for there are also a number of smaller falls set in the rainforest. We were glad to have done this early in the morning as the walkways are narrow and viewpoints small so doing it with the least number of people is definitely preferable. The temperature and humidity were also more bearable in the early morning. 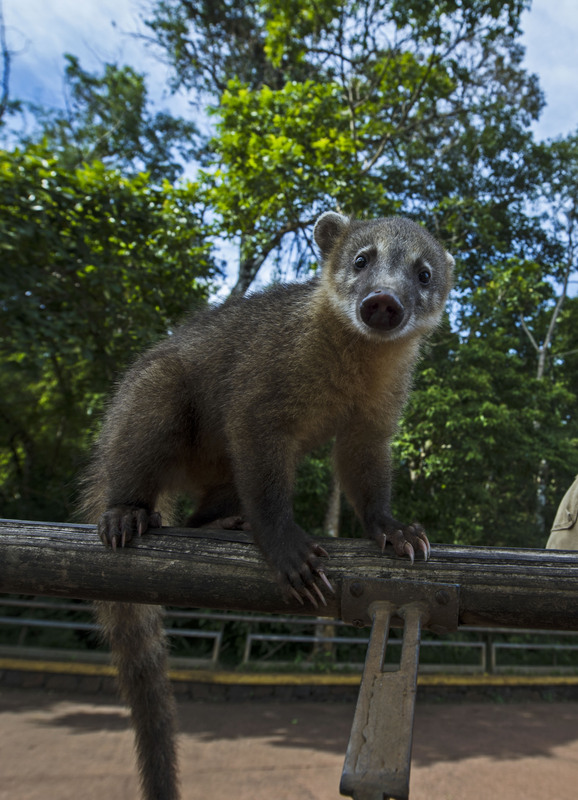 The highlight of the park is the long boardwalk that crosses rivers to the Garganta del Diablo. You can reach this lookout by taking a small train from the start of the two other trails or you can walk along a dirt road. 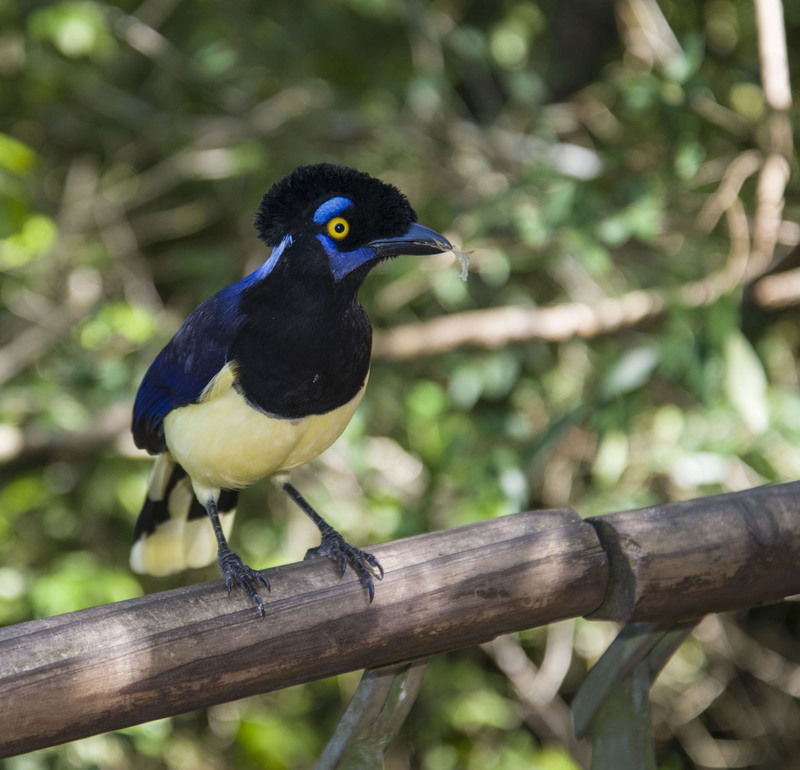 We took the latter option and were rewarded with the sight of a troop of Capuchin monkeys, hundreds of butterflies and numerous colourful birds. The boardwalk out to the Garganta del Diablo is over 1km long and mostly exposed in the sun but also gives good wildlife opportunities. 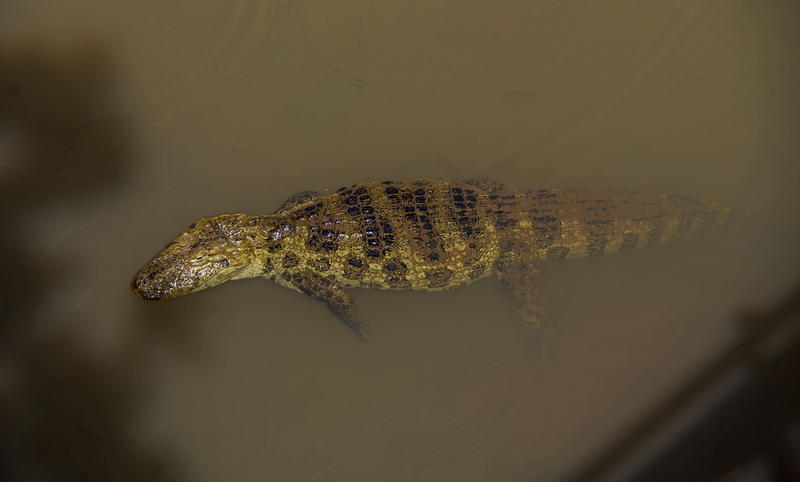 Large catfish swim in the river, as well as Caiman and small River Turtles. At the end of the boardwalk there is large crowd of people stuffed into a small viewing area, made even smaller by the resident photographer. However the falls are amazing with a huge volume of water pouring into a cauldron from all sides. 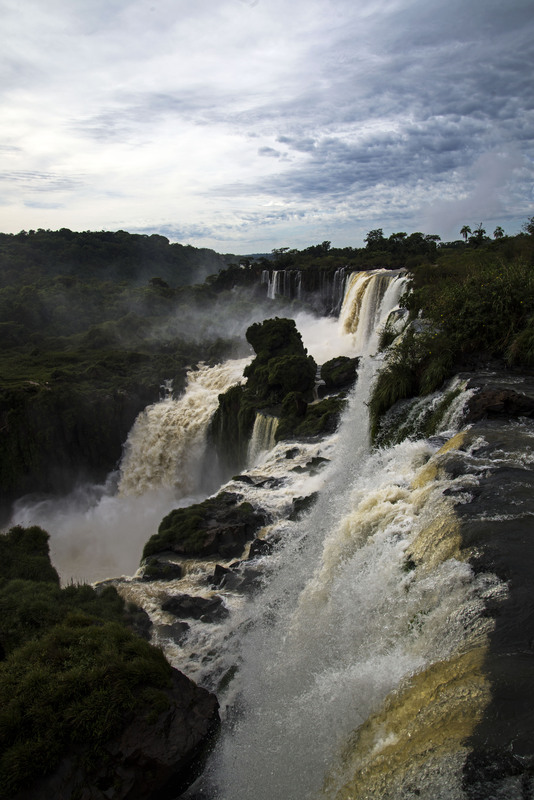 The main waterfall here is in fact the largest in the world by volume. We took the train back to the entrance, and after a total of 6 hours at the falls we were done with the Argentinian Iguazu and ready to hit the Brasilian side.